Martina Juvara is the director of urban strategy company URBAN Silence in London. Typically, Martina works where there is large scale change, and need for fresh and innovative thinking at the crossroads of investment, infrastructure planning and social prosperity. In her 25 years of professional experience at international level, she has had a strong focus on Mediterranean and Arab countries, working both at large / strategic scale and at site level, with the pragmatism required in professional practice but also great ambitions for the places where she works. She was a member of the core team for the Master Plan of Damascus and Surroundings, which was near completion in 2011, developing an innovative methodology for planning to create communities and socially resilient neighbourhoods. At present, she is the lead planner for four of the 11 Regional Strategies included in the Oman National Plan, which are focused on promoting prosperity for inland towns and villages. She has also prepared the detailed plan and regeneration strategy for the divided city of Nicosia, in Cyprus. Her recent work has included the concept for a consensual digital platform for planning and urban management in the UAE, as well as the master plan for a 200,000 people site in Central Makkah, new tourism-led development in Tunisia, master plans for coastal SmartCity for TECOM / Dubai Holding, projects for Dubai Metro, Neapolis Smart City in Cyprus, etc. In the UK her focus has been on tools to ensure that the social capital of communities is protected and enhanced by new development, with a number of high-profile involvements in high growth areas. She is also an active member of the Smart City professional scene in London. She is an active member of ISOCARP and has been both part of the Congress Team and a presenter. She has also joined the urbanism training for the Abu Dhabi Urban Planning Council and for the Municipality of Al Ain (2015-17). 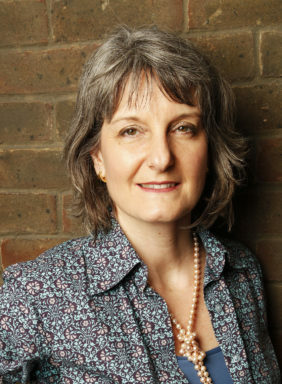 She has presented at professional and academic events such as the Future of London annual conference, and the Urban Land Institute’s London workshop, the Majan College Conference Oman in 2018, and participated in the CityLab Chelmsford UK 2016 and 2017, Smart City Lab Sheffield, 2016, Sustainable Mobility and Places conference Cyprus 2016, etc. Prior to founding URBAN Silence in 2013, she worked with a number of flagship companies, including Colin Buchanan, ARUP and Llewelyn Davies in the UK, Reichen et Robert (France) and Costa Vigano (New York).